Hi, I'm NintendoFan, I'm just a guy that's been around on MFGG since 2014 that likes playing Nintendo games, but I didn't really join the forum until late 2015. I guess I didn't see it. Welcome to MFGG! I'm glad you've decided to register an account. MFGG is a great place to be if you're a NintendoFan! Let me know if you need help with anything. Enjoy MFGG, it's a really cool place to be for resources, fangames, etc! I'm new, but old. Originally joined in 2001 around the launch of the GBA. I was into Mario sprites and found this site while looking for Waluigi sprites. I found Toni's paper-style Waluigi sprites and adapted them to be WL4-style (sort of) so that a fellow named Suigi could use them for his Wario Comix sprite comic. I entered a lot of spriting competitions in the early days, though I never developed a fan game. I pop in once in a while now, but only a few people know me, probably. Those who do might even know that my avatar was always a blue Megaman edit taking the form of a knight. This same look is now coincidentally the form of a successful indie game character called Shovel Knight. I should buy that amiibo. But you might remember me making a topic trying to get people together to make a fangame that I had absolutely no idea of the required commitment. Don't think I'll be doing anything like that again, at least hopefully lol. And if I'm completely unfamiliar to you (likely), i'm a Mario fan who specializes in the RPGs (mainly the first 3 Paper Mario and first 4 Mario & Luigi games) who is known for being massively disappointed in Sticker Star, Paper Jam and Color Splash. I'm also known to have massive nostalgia goggles for childhood movies that are often not as good as I remember them. So uh... Howdy! So this is where I introduce myself? Oh wait, maybe it is lol. Anyways, I'm RS.. I'm just a typical-ish female uhh.. something, I would say gamer/artist. Yes I'm the one from the old MFGG forum (in case if you didn't already knew *shrugs*. 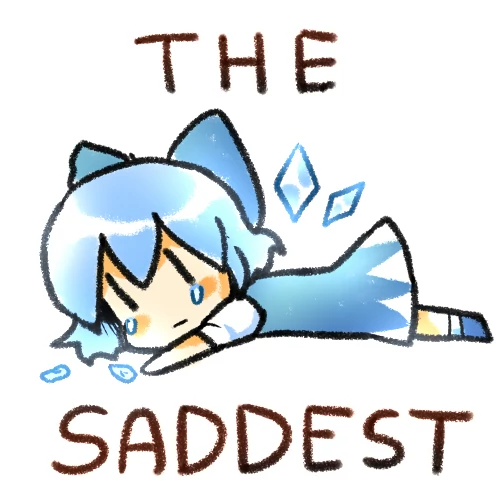 I'm here because I was very inactive in the old MFGG forum for long and then I was like decided to be on but then found out the old forum is dead and archieved. I came here when I was searching for PSF in the MFGG.net and then eventually I saw this came up so I registered here today. I do (mostly) arts because my hobby is drawing stuffs. I'm a fan of Mario and Kirby btw. @fawfulthegreat64 Welcome back! Beware of the temptation to make overly ambitious fangames. It's good to dream big, but it's best to start small! @Venus Welcome to MFGG! If you enjoy playing fangames, MFGG is a great place to be. We always appreciate it when people play our games and tell us what they think about them - what they liked, and what we could do better. If you decide you'd like to start making fangames, we can help you with that too! @RSupertheGreat Welcome back! I'm not sure if we've ever had a Malaysian member, so that's cool. If you've made some neat things that you'd like to show us, the Arts Board would be a great place to share them! Decided to check out what all this MyBB fuss was all about, refreshing to see MFGG got a new look after all these years! I'm currently making videos over on my YouTube channel AtomicPunch, and working on a indie RPG game that has yet to see the light of day. Maybe soon, who knows! I'll probably be around these forums to check out anything Paper Mario related and help out with Game Maker issues. Cheers! @JeffDazzle Whoa, you're still alive! I was afraid that the zombies had invaded the Netherlands and gotten you. I'm definitely looking forward to that RPG project! I need to stop procrastinating on my own indie RPG. I heard on WikiLeaks that the protagonist of my RPG bears a slight resemblance to you! It's a me, Super Mario! Hi! I'm MarioStar100! I played Super Mario World since 2002, I currently working on my hack called "New Super Mario World - Kamek's Island" I learned English with Grammarly without grammar errors. My native language is: English, seems English is horrible. I try to improve English with skills I will stay and active in MFGG. Hello! I'm Slascoplerd. I've actually been a frequent visitor of MFGG ever since ThunderDragon released Toad Strikes Back, though I've never actually given a chance to enter the forums nor make an account. ^Feeds off of Touhou girls. @MarioStar100 Using online forums is actually a great way to improve your English skills. I know several MFGGers who learned English from using MFGG. @slascoplerd Welcome! I hope you stay active here, too! If you have any cool art or music that you'd like to share, you might want to check out the Art and Music forum. @Chadook Welcome back! We thought about using a converter tool to transfer the phpBB accounts and posts to the new boards, but in the end we decided that it would be best to do a "reboot" of the forums. Don't worry - all your old posts can still be viewed here. Hello, I am Dock, and I am literally a dock. Im a friend of Syaxamaphones. Hes a pretty cool dude. I don't make games, but I sometimes play them. I really only joined because this is literally the only place syx posted Super Cake Boy link on, and he just now told me. (Maybe, we're not friends ;-; ) but anyways i will be posting here from time to time, will probably check out some of the other games. My name is Hiro-sofT (but I'm also known as just "Hiro" or "Hirsen" on the internet) and I'm a 25 year old guy with a passion for game development, drawing and gaming. I like a lot of creative activities, such as drawing, pixel sprites, programing and all sorts of other creative stuff, which is why almost everything of my stuff is self-made. I just love the feeling, if you crafted something on your own. I'm also a person who has a big interest in how other videogames work (for example why a videogame glitches out or unseen/unused stuff that can be discovered). I'm also known for having not that much time for everything, since I always have to deal with a private life or my projects, which both are stealing a lot of my time (especially the private stuff). I'm friends with a group called the RPGDreamland. With them, I have a group YT channel, where I play games with them. I also have my own YT channel and Twitch channel, on which I livestream or put up my livestreams for everyone to watch. I was known for a project called "Panel de Pon RPG" or just simply called "Lips Adventure", on the RPG Maker 2003 engine, which I cancelled for multiple reasons. I also currently work on a mobile game for android called "Fungi Cappani", which is going to be a platformer, inspired by classic games, such as Kirby. With this, I want to create a good platformer on the android system. I'm using Game Maker Studio for this project (which I prefer personally over RPG Maker anyway). My biggest goal is currently to finish a demo or something playable. I'm very famous for not releasing stuff, because I never feel truly satisfied with my projects and don't want to unleash a game with too many flaws. I don't want to make people suffer through a buggy or barebones concept of a game, which is why I also keep play testing all my stuff so many times. Hey my name is Mariotroid. My name was Morrad1991 on the old forums. Great to see you all here. little about myself: many things to say. I'm a noob programmer. Developed many minigames and uploaded 3 to the main site (there's soon to be a fourth). I have a chronic mental illness but I'm recovering. Been on the site since 2006ish. I' developing an indie game and just recently decided to read books about games to progress in that field a bit faster. I mat or may not be developing a game based on the Mario Movie. Anywhooo, MFGG is the best. Glad to be here.